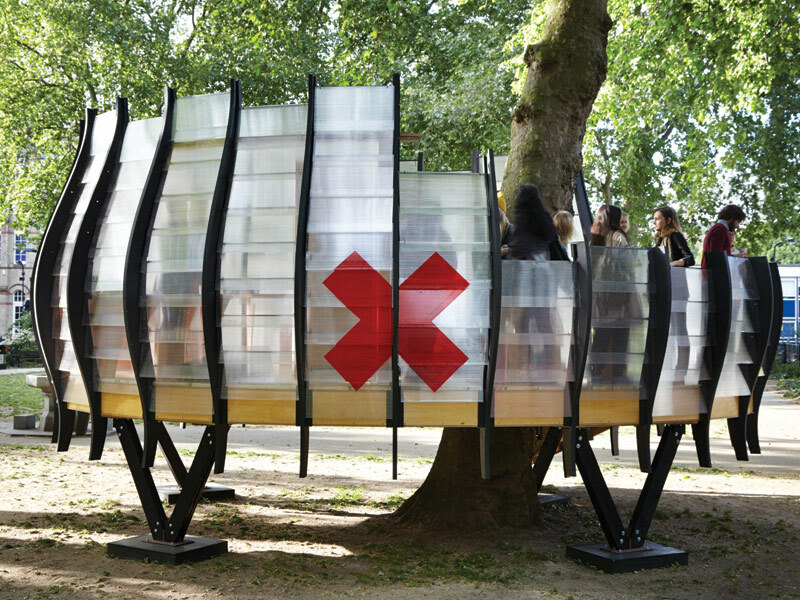 A pop-up office has been created under a tree in Hoxton Square by Tate Harmer, challenging preconceptions of what an office should be. 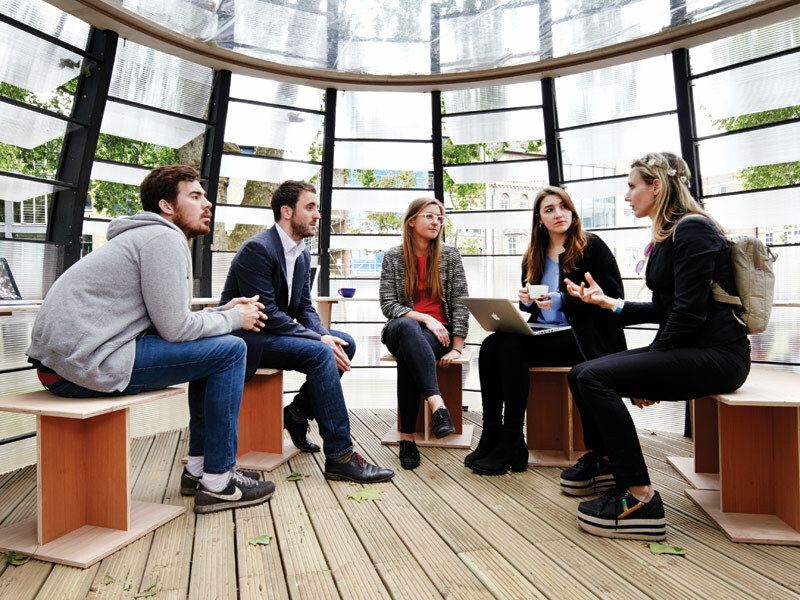 Occupying just 30 sq m, Hoxton Square's pop-up office is small in size but large in ambition, creativitiy and support. Set up to test new innovative models that 'sustain and enhance public open spaces', TREExOFFICE is the first project to be born out of the Park Hack 'rethinking parks' initiative - as led by Groundwork London in partnership with London Borough of Hackney - that sees pioneering innovations and business models tested to deliver diverse investments in Hackney's parks and green spaces. The Hoxton pop-up office, which has been designed as a new concept in co-working spaces, has been created by architect Tate Harmer - with Gensler as the briefing architect - in collaboration with artists Natalie Jeremijenko and Shuster + Moseley. They are just some of the creative businesses supporting the Park Hack initiative. 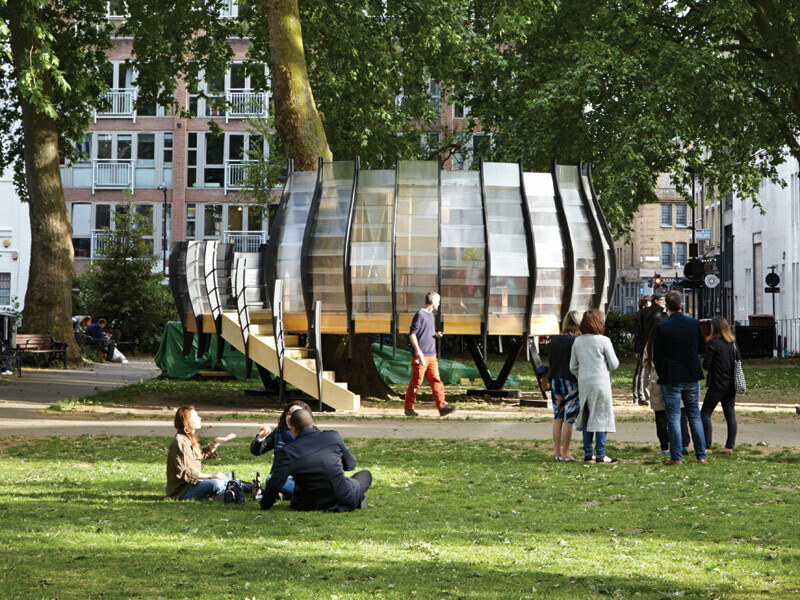 Briefed to create an open and transparent office space under the tree canopy in Hoxton Square, Tate Harmer has delivered the temporary structure - built around a tree - to form one of London's most unique office spaces. The main structure is of compressed paper with see-through plastic and translucent polycarbonate for the outer walls; at the same time it blurs the boundary between office and nature. 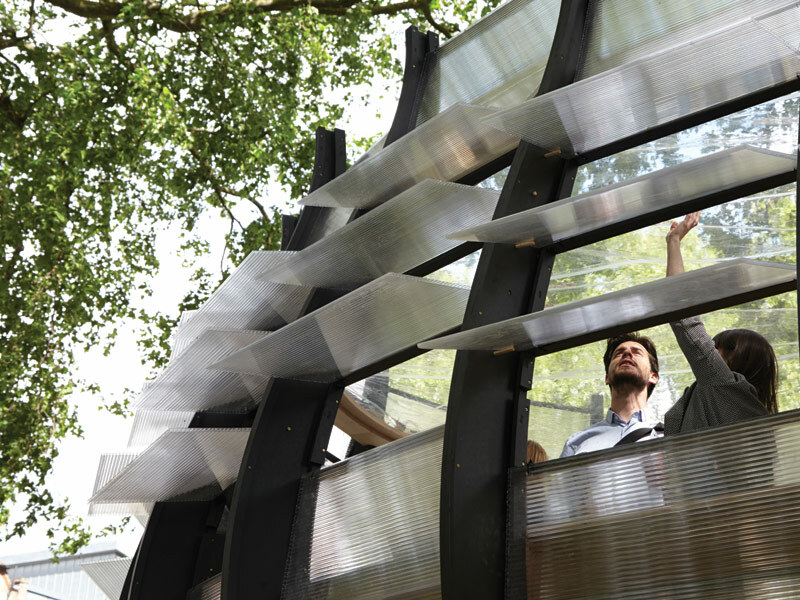 A transparent, removable roof allows sunlight to pour into the space and for the structure to merge with the park throughout the seasons (the office will be in situ until December). 'We worked within the site constraints and permitted development regulations to deliver a space that is both functional and exciting,' says Harmer. 'We also wanted to include an element of fun and make the tree central to the users' experience.' Inside there are the eight workspaces, which are available for businesses, creative workers and community groups to hire. It is equipped with a power supply and WiFi, and has the capability to also host small meetings and events. A plywood bench runs around the space's perimeter, wide enough to rest a laptop, and simple plywood stools can be moved around so that the bench can double as a low table. The design enables those who work here to 'connect with and give back to nature', says Harmer.